What are money damages for motorcycle wrecks? Are insurance claims different for truck accidents? How does an injury lawyer near me help? Actually, a majority of the cases are settled prior to the filing of the lawsuit. That’s the preferred way to solve the case for both sides. Experienced accident injury lawyers in North Carolina may refer to that as a settlement. Under the NC accident laws, lawsuits are not always required. 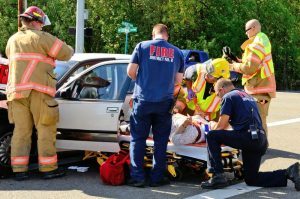 What is the “maximum level of recovery” in NC accident cases? Normally that means the doctor has made a determination that there is nothing more they can do to help recover from the accident. They have done all that they can to help you recover from the car accident. In other words, when you’re all through with the doctor, and you’re as good as you’re going to get, we have all the information that we need to present to the insurance company, we can begin settlement negotiations to resolve your claim, and most of the time, that will take care of it. In those situations where it doesn’t, then a lawsuit gets filed and there are going to be a lot more work involved at that point, as far as discovery, depositions, gathering evidence, most of the time, the case will go to a mediated settlement conference before court, after your depositions have taken place. There will be an opportunity at that mediation, after that lawsuit’s filed, to settle the case there, and a good percentage of those do settle. Denial of Claims in NC accident cases: What happens if the insurance company refuses to settle your claim for money damages? If it doesn’t settle there, and it’s headed to the courthouse, then the odds become much higher that the cases is going to be tried and you’re going to be in court. There’s still going to be some opportunities to try to resolve the case, just short of court, at the courthouse. But most of the time, if it doesn’t resolve at mediation, it’s going to go to trial. What is ‘fault’ in NC accident cases? There’s certain things, there’s certain facts about a case that are going to increase the chances that it goes to court. Who is at fault is key in NC accident cases. In other words, let’s say we have a stoplight case, and there is a real dispute over who had the green light. That case has a much higher chance of going to court than a stop sign case, which obviously is not going to be an issue over who had the stop sign and who didn’t. 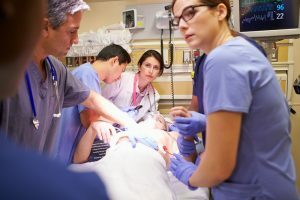 Your North Carolina accident injury lawyer will also want to discuss contributory negligence and how it may be asserted in your claim for money damages. Sometimes lawyers in NC refer to that as “contrib.” North Carolina is one of the few states in the nation that still allows the defense of contributory negligence. So, it just … Because it’s a more difficult case to prove, it increases the chances that you’re going to head to trial. There’s some other specific things in cases that can increase the chances, one of them would be if you’ve got multiple parties. In other words, let’s say you got a chain rear-end collision, and you’ve got multiple vehicles being struck, and there’s a lot of finger pointing. MORE INFO: What Happens If the Other Person Is Not Insured? Between two defendants as to which one was at fault, and you don’t really have a dog in that fight, because you were at the front of the line, but because they’re fighting over who was at fault, you might end up in court because they can’t resolve between themselves where the fault lies. If you need legal representation for a motorcycle accident or are looking for a law office in Greenville, NC, Morehead City, New Bern, Beaufort, or Jacksonville, North Carolina, we’re here to help. 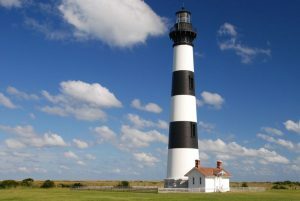 Our accident attorneys in Eastern North Carolina have experience handling claims for money damages.